Welcome to the Calendar at saratogaliving.com—our expertly curated list of the top events, live music, readings, workshops and everything else in between hitting the Capital Region on Fridays, Saturdays and Sundays. As always the Calendar will be updated every Thursday, so that you’ll have a jump on your weekend plans. You’ll never have to ask “What’s going on in Saratoga?” ever again! It’s not everyday that you get to see a full military concert band and chorus—for free, no less. This Friday, April 6, from 7pm to 9pm at the Saratoga Springs City Center, the Spa City’s in for a rare treat, when the US Air Force Concert Band and Singing Sergeants—two of the USAF’s performing groups—swing into town from Washington, DC, and put on a free concert (though it’s free, you still have to register in advance here). 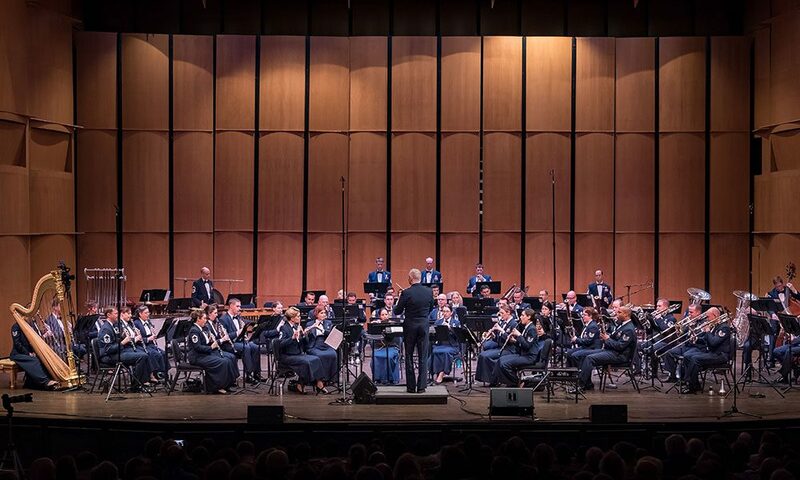 The Concert Band features 53 active duty members, including five trumpeters, five French horn players and a gaggle of other woodwinds, brass and percussion. They even have a harpist! The Singing Sergeants are a bit more exclusive, featuring 23 active duty Airmen, who perform more than 200 concerts a year. First founded in 1943 as a male-only chorus, the group integrated in 1973 and now includes both men and women.